Who Won Indy 500 Today? INDIANAPOLIS – Drivers will make strong arguments for why they’re the best, and teams will summarize why they have the fastest cars. But the real question surrounding the Indy 500 is which driver does Vegas project as the winner on Sunday? Three days before the IndyCar Series’ most prestigious race, pole winner Scott Dixon is the favorite to claim victory at the 101st running of the Indy 500, according to VegasInsider.com via sportsbook.ag. 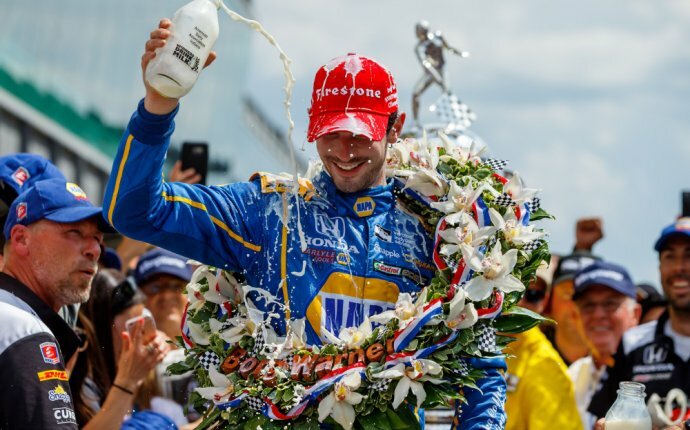 Winning the Indy 500 pole for the third time in his 15 years in IndyCar, the Chip Ganassi Racing driver had the race’s best qualifying time in 21 years – with a 232.164-miles per hour, four-lap average – and has 6-to-1 odds to win. That’s good news for the New Zealand driver, who won the Indy 500 after claiming the pole back in 2008 and finished fourth in 2015. Spanish Formula One driver Fernando Alonso is next in line with 8-to-1 odds, which isn’t too shabby for the first-time IndyCar driver. Although he’s no racing rookie. After the top two most likely winners, the 9-to-1 odds group is a little crowded with Helio Castroneves, Juan Pablo Montoya, Marco Andretti, Ryan Hunter-Reay and Tony Kanaan all sitting together. Last year’s surprise winner, Alexander Rossi, isn’t looking great to repeat with just 22-to-1 odds.